During my first week with Satunama I worked every day, some days I was in the office and some days I went on field trips to learn more about the work Satunama do. I work with the empower communities through human rights department. This department work as the title suggest and a lot more. For sufficient development in Indonesia it is important to have trust and get to know each other instead of just focusing on issues and order. 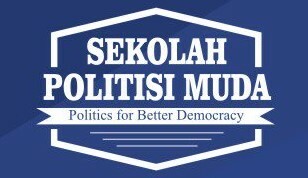 The first group of children/youths I met was on Wednesday with Sanggar Bocah Menoreh (SBM). We started the event by sitting down and introducing ourselves to each other, they wanted me to write my name and talk about Norway. They talked about Indonesia and what food and sport they like. Some of the youths spoke some English. After the introduction we played an Indonesian game called ¨gobak sodor¨. ¨Gobak sodor¨ is played by making lines, one team has to be on the line and the other team has to try and get to the other side and back without being caught. If one person is caught the game is over and the teams switch positions. We also tried a Norwegian game called ¨rødt lys¨ (red light). I think it was fun to meet my first group by talking about Norway and Indonesia and having a game as activity. I also met with a group of youths in Sumber. 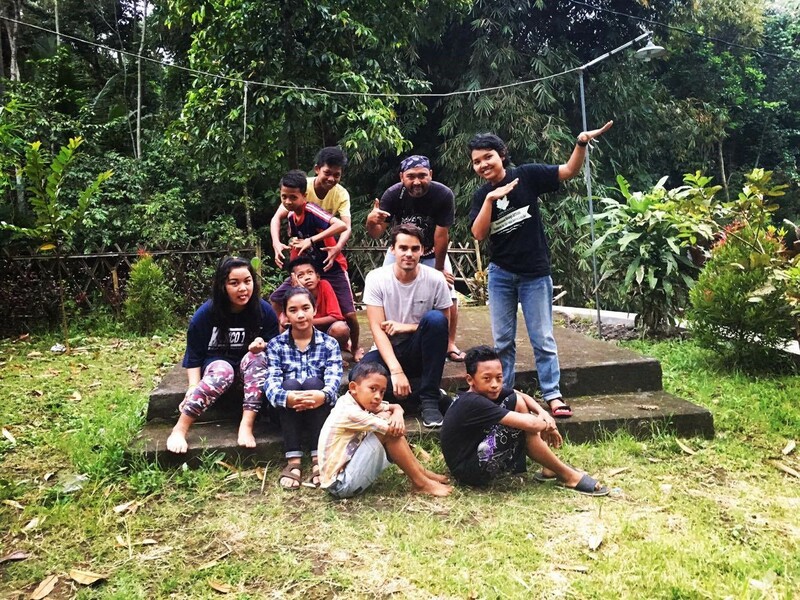 The youths are a group of locals that are trying to bring tourism to Sumber by using media. During our first meeting we arranged to meet every Saturday until my internship with Satunama is over. We started the meeting by introducing ourselves and then we talked about the meeting arrangement and Norway, Australia and Indonesia. I thought this was a nice way to meet and I look forward to working with disaster planning and first aid with them and the community the following weeks. On Sunday I went to the beach and met Sanggar Belajar Kuncup Melati Mandiri (SBKMM). SBKMM is one of the children communities that are feeling the impact of agrarian conflict in Yogyakarta. 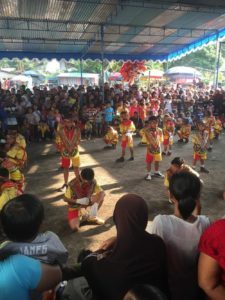 Guyub Bocah (GB) usually has activities such as village cross visits, training, museum, temple visits and making songs. For this moment, GB joined with SBKMM activity as a part of solidarity movement. The house that was usually used will be condemned by the government. This was a different experience for me because I did not participate and just observed. My mentor, explained to me that the event is about what mentioned over and as a part of community development. At the start we stood in a circle and introduced our names, after we moved because of the rain. They were discussing what to do and not to do during meetings. They also did a kind of ritual for start where they said; Clap for children rights: right for life, right for growth, rights for protection, right for participation and freedom. I thought it was interesting to see the ritual and learn about the work Satunama do. At the end they took a group photo and many of the youths wanted to take a photo with me. Overall I am happy with my first week at Satunama and I feel like I have learned a lot about the organization and some of the work my department do. Saturday the 15th of October 2016 Rebecca and I met at 12 to drive to Sumber. Rebecca is another student that participate in of the ACICIS programs. She speaks Indonesian very well and wanted to come with me on my field trip. Sumber also invited me to bring a friend for this event. When I arrived we handed out the fire safety sheet that I had worked out. The sheet talks general about types of fire such as bush fire, vehicle fire, house fire and gas fire. The sheet also has information about what to do in regards to stop small fires, what fire needs to survive and when to go to safety. Treatments of burns are also mentioned as it is important to be careful and not tear cloth of if it is a big burn. For activities we played a game that I came up with, in the middle of a circle there is one person that is fire and around there were three stations were people represented burnings materials such as wood, paper and plastic. The game is played by having the burning material running in a circle around the fire and when I screamed fire the burning material has to run back to their stations before the man that plays fire taps them. If they get tapped they have to join the fire in the middle and try and catch the burning material in the next round. We played this game to demonstrate that it is important to do damage control and get the burning material away from the fir. They are also physically active and learn English words such as fire, wood, plastic and paper. Some of the participants spoke a little English while the rest did not seem to have any English language knowledge. 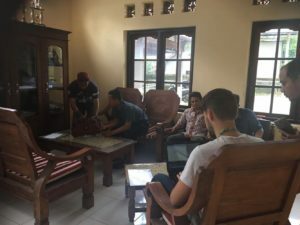 At our meeting in the prior week we discussed that they would like to learn some English through our activities, this also gives them an advantage considering that they are trying to become a tourist village. They also have the fire safety sheet to take home and read over to learn some words if they feel motivated to. We also did another activity where I demonstrated Fireman’s carry that I already had learned from my gap year in the army. I first demonstrated it on Rebecca and then on a participant called Eko. They did not want to try and to the fireman’s carry on each other, probably because they mostly were girls. But at least they know how to do it and can practice it at home and show their families if they want to. We also played another game called red light that does not have anything to do with fire, but we described the game with words associated with fire. We also demonstrated that they should stay low and breathe through cloth when they are in a building that is on fire to avoid the smoke and the heat and poisoning that are in the smoke. We also talked about how to roll on the ground if you catch fire. I believe the group gained knowledge about fire and English that they did not already know. They also said that they do not have fire training at school or evacuation protocols, which is very different from Norway because we had to repeat fire safety instructions every month and do several tests. After the activities we sat down and talked about what we have learned. After the group invited Rebecca and me to go and look at a cultural event that the village hosted that day. We went to the event and saw the locals preform dances and play music. We danced to the music and bought something to eat. Many people came up to us to take photos with us as well. Rebecca and I went to SD Keningar to have activities with 13 students from 4th grade. When we arrived the children had a break and Rebecca and I went towards the children and they came up to us and told us their names in English. After we went to the office and said hello to the teachers. Shortly after we went into class where the students, teacher and we presented ourselves. We started to talk about Norway and Australia, where Rebecca and I come from. We showed them some pictures and talked about the animals and how the climate is. The teacher went and got a glove so we could show them where Australia and Norway was compared to Norway. On the schedule for today’s class we wanted to make the students aware of natural disasters. We brought posters, color paper, color pens, scissors and tape. We divided the students into three groups and told them to make a big poster about natural disaster and what they know about it. Rebecca, the teacher and I had to help them started by making a sun, after that they got very creative and started to make mount Merapi, lakes, houses and trees. We came with suggestions for the poster underway such as flood, hurricane, fire and landslides. We did this for around one hours before the parents came to pick their children up. After we were finish with the posters we cleaned the room, took photos and hang up the posters. I though this experience was the most fun activity I have had with Satunama so far. The children were really calm and motivated to do the task. The class had requested foreigner (bule) to come to class and talk. I think this was a good and fun experience for both parts. On Saturday I woke up at 6:30AM to go to Sumber to have a Film and writing session with a group that advocates tourism. I got there a little before 9AM and was met by the group. There were a journalist there and three other students that I had not met before. The rest of the group was the same from last week. We started our meeting by saying our names and they asked me some questions about Norway. After the journalist and Pak Eko was talking about writing and filming in Indonesian language. We moved outside where the journalist had a lecture about film and writing in Indonesian. We had a meal together. After we went inside and ate dinner. After the break we started to film for the movie. I was sitting in an office writing, they were pretending like it was a hotel and that I was visiting the Sumber webpage. After we went outside and started to film me driving around with a scooter around Sumber. After this they filmed that I met a girl from the community called Farida. In the movie she was showing me around the village. We went for a walk and introduced ourselves. After this we went to a place where we watched people play music and I tried to play a song that I knew from Norway for them while they filmed. After we went up to the meeting house again and filmed that I said goodbye to Farida. After this the clock was 2PM and we had a short meeting before we finished for the day. We planned to meet next Saturday at 9AM again with Rebecca for more filming. I thought this was a interesting experience, it was hard not to laugh when they filmed me. I look forward to next weekend with Rebecca.